Jojo Moyes is a novelist, journalist and screenwriter. She worked at the Independent for ten years before leaving to write full-time. Her previous novels have all been critically acclaimed and include Me Before You, The Girl You Left Behind and the Sunday Times number 1 bestselller The One Plus One. Me Before You has sold over 5 million copies worldwide and went to the top of the charts in 9 countries, including in Germany where it held the number 1 slot for 46 weeks. She is one of the few authors to have had 3 novels on the New York Timesbestseller list at the same time. A major film adaptation of Me Before You, starring Sam Clafin (The Hunger Games) and Emilia Clarke (Game of Thrones), is currently in production. Jojo lives in Essex with her husband and their three children. Jojo Moyes is a novelist and a journalist. Her novels include the bestsellers The Girl You Left Behind, The One Plus One, Me Before You and After You. Her novels have been translated into over 40 languages and have hit the number one spot in 10 countries. She is one of the few authors to have had three novels on the New York Times bestseller list at the same time. 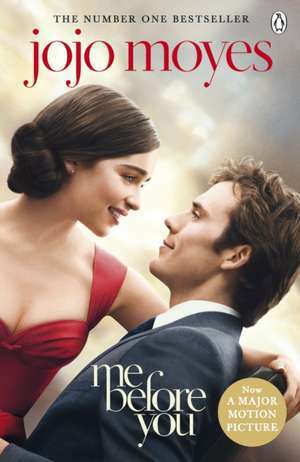 Me Before You has now sold over 8 million copies worldwide and Jojo adapted the novel into a screenplay, of which the major film production, starring Sam Claflin (The Hunger Games) and Emilia Clarke (Game of Thrones), was released in summer 2016. Jojo lives in Essex with her husband and their three children. Jojo Moyes has done it again with this funny, touching tale that is impossible to put down. Make sure you have a box of tissues to hand!